The wait is over. Windows 10 is officially released today in several countries across the globe in phases. 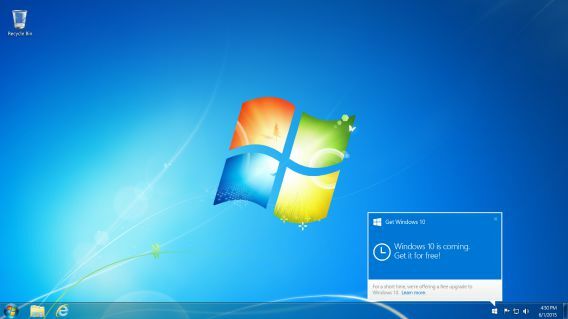 Microsoft intends to replace Windows 10 with Windows 8 and 8.1, and serves to attract those Windows 7 users that never consider update to Windows 8. There are a bundle of new features in Windows 10, include Cortana, the virtual assistant, Edge (the browser that replace Internet Explorer), and more. 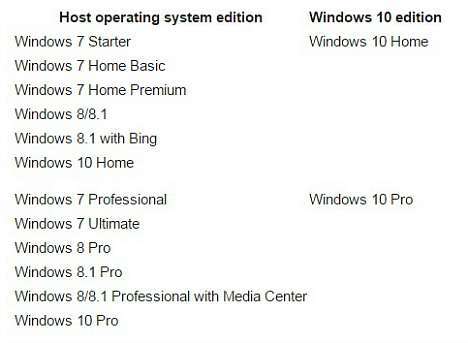 If you’re one of those users who reserved Windows 10 on Windows 7 or Windows 8/8.1, Windows 10 may have already started downloading to your PC as a free upgrade. Windows will stealthy download folder to users PC – C:\$windows.~BT, which can be found at Organize > Folder Options > View > Show hidden files, folders, and drives. While upgrade to latest operating system using Windows Update, Microsoft also provide the official Windows 10 ISO files direct download link for Windows users who wish to do a clean install. A blank USB or DVD (and DVD burner) with at least 4 GB of space if you want to create media. Recommend using a blank USB or blank DVD, because any content on it will be deleted. If you will be installing the operating system for the first time, you will need your Windows product key (xxxxx-xxxxx-xxxxx-xxxxx-xxxxx). For more information about product keys and when they are required, visit the FAQ page. Windows users also can use media creation tool to download the latest operating system and install it. To learn how to use the tool, go to the Installing Windows 10 using the media creation tool page.